If you enjoy being active and enjoying nature, we have several groups for you. Our hiking, men’s softball, and yoga groups offer Resurrection disciples a chance to enjoy fellowship and stay fit at the same time. Grab your hiking boots and water and join the hiking club on a hike! 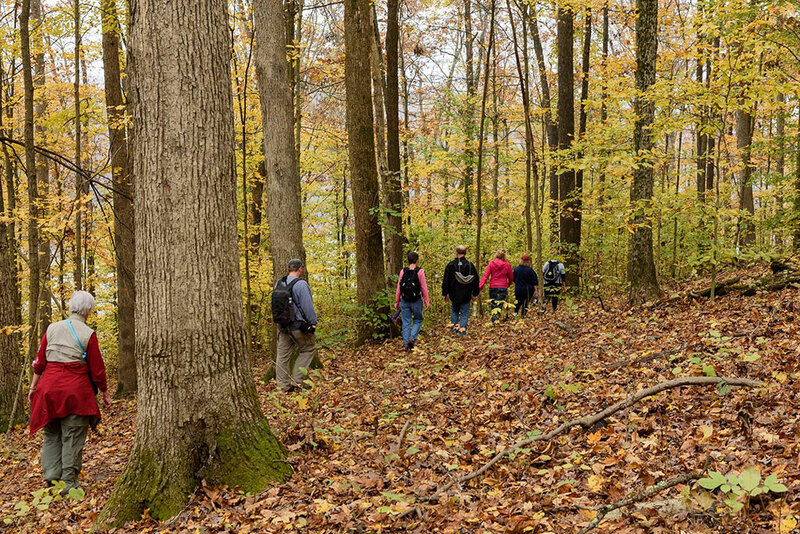 The Hiking Club organizes monthly hikes around central Indiana. We are a group of all ages – it’s a great time for enjoying nature and fellowship! If interested in joining, please email Mary Moore at enufboys57@gmail.com. The men’s softball team plays each summer and fall in the Church Fellowship League offered through the Greenwood Parks Department. Games are played on Monday nights from May through October. Join us and discover how yoga can enhance your living! Classes are free and all are welcome. Mats and props are available for use. Please arrive fifteen minutes early to get settled and center yourself. The free chair yoga class is designed for those with physical limitations, those who want to ease back into stretching/exercise, those with limited mobility, and those who might suffer from balance issues. This class uses a chair as a prop to steady the unsteady. This free class is designed to help honor the temple God gave us through Gentle Vinyasa. By participating at your own level you will enjoy the benefits yoga has to offer your mind, body, and spirit including increased flexibility and less joint and muscle stiffness by exploring movement with us.